SINGAPORE/LONDON (Reuters) - Standard Chartered's new Chief Executive Bill Winters plans to cut about 1,000 of the bank's most senior staff to reduce costs, according to a memo sent to staff, as he battles to revive the bank following a sharp drop in profits. The cull shows the scale of the overhaul Winters is planning at the Asia-focused bank, which he has said needs to speed up decision-making on costs, people and strategy, and improve its risk management and profitability. Winters said he planned to reduce by a quarter the number of staff graded in bands 1 to 4, the memo seen by Reuters said. Those bands cover bankers at director level and higher and include about 4,000 staff. "Our situation requires decisive and immediate action," Winters told staff. "Each member of the management team has a mission to drive through improvements in our returns and part of this will be further streamlining of our organisation." Winters, a former JP Morgan investment bank boss who took over in June after the ousting of predecessor Peter Sands, said the bank would also make disposals and cut clients. Disposals would be in areas where the bank was "not differentiated", or an activity or location "was not critical to a core strength." Standard Chartered shares were up 5.3 percent at 788.4 pence by 1310 GMT. The shares have rallied 26 percent in the last eight trading days amid optimism Winters can get on top of its problems, but are still down 42 percent since the start of 2014. Standard Chartered has had a troubled three years due to weakness in many of its key emerging markets, rising losses from bad loans in India, China and on commodities, as well as fines from U.S. regulators and strained relations with shareholders. "We lost some discipline during that time, leading to our recent problems with loan impairments and relatively high expenses," Winters said in the memo. He is expected to outline his plans to investors and staff in November or December. Meantime there are concerns a test of its loan book against a theoretical Asian recession, being carried out by the Bank of England, could show it is short of capital. The results are due out on Dec. 1. Standard Chartered could have a $4 billion capital shortfall under the "stress test", analysts at Goldman Sachs said this week. But they said there was scope for the bank to restructure and release up to $6 billion of capital. 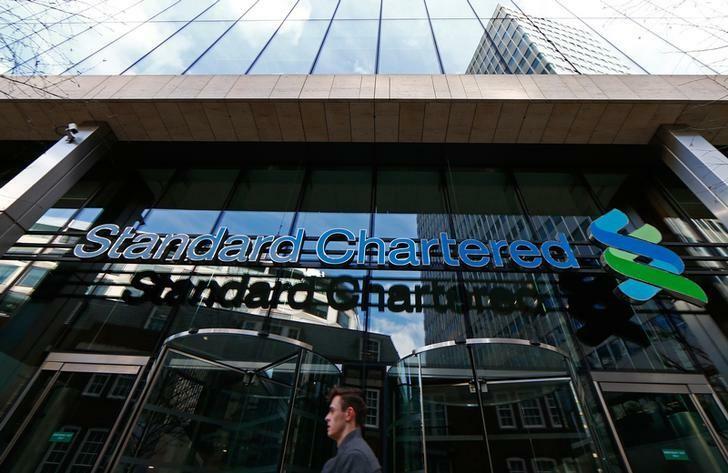 Winters halved Standard Chartered's dividend in August and said the bank would raise capital from investors if needed. It said at that time it had cut 4,000 staff since the start of the year, reducing the total to about 88,000. Winters also said in the memo his plans were not all about cuts, and he had identified areas for investment, to make room for which the bank would cut the number of its clients. "We will focus on those clients who value our capabilities and compensate us accordingly. For others, we will be there when they need us but will withdraw resources in the meantime." Standard Chartered has also been fined more than $1 billion for breaching U.S. sanctions, including with Iran, and authorities there are still investigating some issues. Winters said the bank was making progress in improving its processes and systems, its behaviours and remediating past issues, and told staff any violations would not be tolerated. A spokesman said a note sent to staff by Winters this week said kick-starting performance was a priority. It said the bank had indicated in July there could be personnel changes to come.